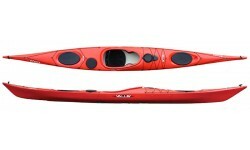 Below you can find the range of Valley Kayaks that we regularly sell at Brighton Canoes. Please call us on 01273 513200 if you would like any more information or if you can't see the model you are after. The SP stands for Sports Play and the RM for RotoMoulded. Added together you get the ideal ingredients for a tough agile sea boat which excels rock-hopping, tide races & surf. The Etain is an Expedition style boat with a contemporary feel. The Etain also has a very slight Swede form i.e. widest point rear of centre. The Valley Sirona RM eatures a rockered hull shape which gives it excellent manoeuvrability and makes it easier to turn, but at 16 foot long, it is still capable of tracking in a straight line with relative ease. 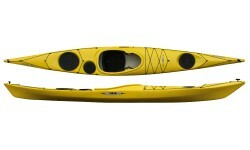 Composite Valley kayaks are available to order. 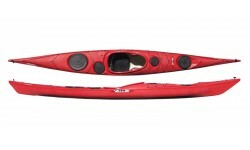 For more information on availability and ordering please call us on 01273 513200 or E-Mail us at sales@brighton-canoes.co.uk.